The past few seasons, dressing for comfort has been taken to a new level... it is now acceptable to wear your sleepwear for day wear. The trend started a few years ago with 1920s Coco Chanel inspired pyjama style shirts, then recently on the Spring 16 catwalks designers presented an array of night gowns, silk robes, slinky camisoles and pyjama-style silk trousers. The key to pulling off this trend is to make your outfit look intentional & not look like you’ve just rolled out of bed. So the right fit and fabric is essential, think classic shaped garments made from silk or satin in conservative colours and prints. If you’re wearing a full pyjama look, opt for a heel, this will also allow the hem to fall flatteringly. If you’re just wearing a pj top, style it as you would a silk shirt. 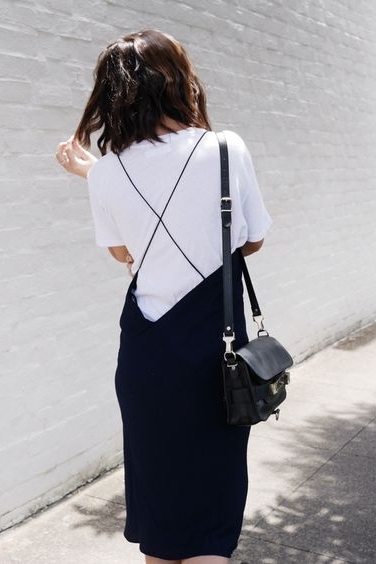 Try rolling up the sleeves and team with jeans or a leather skirt. 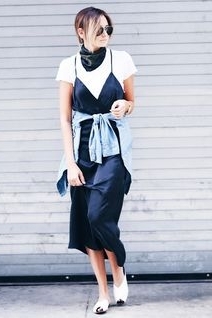 If you’re wearing a silk slip or camisole, try layering it over t-shirts and turtlenecks for a dressed down daytime look. 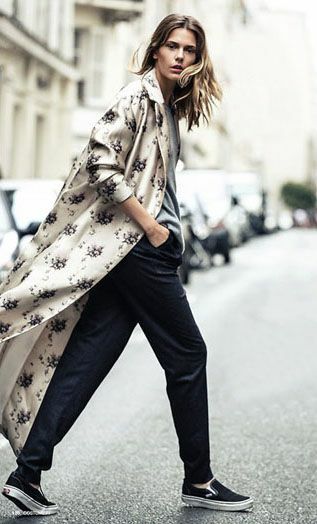 If you’re wearing a long silk robe pair it wardrobe staples, think jeans and a t-shirt.